*Cover (which is not editable, but once it is purchased, I will resend you a file with the new cover with your name on it/school year within 24 hours. 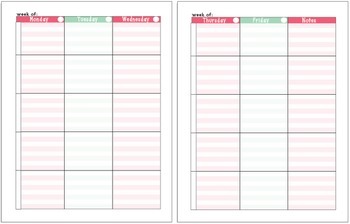 *Planning pages (2-page spread) Split into M-F and subject boxes along with space at the end of the week for notes. 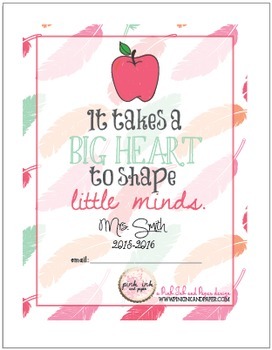 Print, put together and bind/stick in a binder, or print pages as needed! 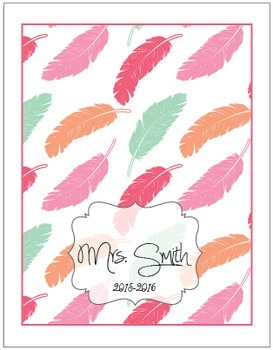 I do take requests for custom planners as well-any color/print you'd like and I even can design new pages to replace these if your classroom requires different types of planning pages. Email me prior to purchase to get one custom made. $10 for the file. 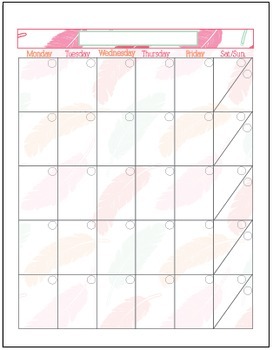 We also offer a printing service on full planners, where we get them printed, binded, with hard covers. If you're interested, please email me before purchase as there are additional fees.